Ok. So this site is quite a group of things. Like my tagline says “From a lot of nothing to a little bit of everything.” It’s thoughts that I have about things. It’s projects that I’ve done and want to share. It’s things that I’ve found and want to share. It’s whatever. Maybe over time it will evolve and the circle will tighten up to where it’s a little more cohesive, because I tend to be more on the organized side of the spectrum. Maybe not. Maybe it will be all over the place. It will be Sprawly. Amazing photos!! Funny reads. Sprawl away!! Hi, I have just started following your blog and absolutely adore it. I am hoping your might be interested in joining along in the fun of the Seven Day Nature Photo Challenge. I can understand if you don’t have the time to play along. Here is the link to my post inviting you. Thank you for such kind words Cee! I would love to play along, especially when it’s nature photos. Thanks for inviting me! I thought of you when I was issued a challenge, as you had said something before about being late to the show. So I’ve challenged you to join me on a challenge parade! Oh man! I was all excited to do the quotes until I saw the part about nominating people. I’m really not keen on soliciting people. Would I be disqualified if I just posted quotes or does that defeat the purpose? I honestly don’t see why you can’t merely do some quotes that mean a lot to you. I didn’t really think of it as soliciting but in a way you’re right. 🙂 happy quoting! 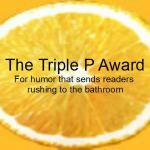 I wanted to stop by and let you know I nominated you for the One Lovely Blog Award! I hope you accept, and nominating others is entirely up to you. 🙂 I hope to hear back from you! I’ve decided to throw you under the bus and nominate you for an award! Mwahaha!!! Sprawly by Carabiensplash is licensed under a Creative Commons Attribution-NonCommercial-NoDerivatives 4.0 International License. Based on a work at https://sprawly.wordpress.com/.